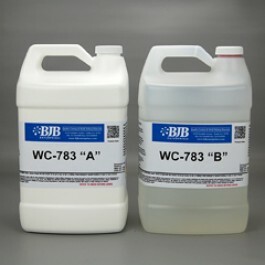 WC-783 A/B is an impact resistant, rigid, 82 Shore D material that is commonly used to make clear or tinted castings of all kinds. The standard work time is 15 minutes, however 5 additional work speeds are available. A mild post-cure is recommended for best results.